Meet the winner of the BT Emerging Fashion Designer Award 209, Blair Archibald! World Mode Holdings (WMH) group is a total solutions company for the fashion and cosmetics industry in Japan, and has the largest market share of fashion and cosmetics retail job placements in Japan. In 2018, WMH established a subsidiary in Australia called ‘iDA Australia’ to focus on recruitment in the Australian fashion market. iDA provides high quality, well-trained and hard-working staff to Australian fashion businesses. “Here is our candidate Yuri who has been working at Helen Kaminski since October 2018, after being introduced through iDA. Yuri had been working at clothing store in Japan for 9 years before she came to Australia. She was an area manager, and she loved where she was. But she also wanted to challenge herself with something new, so she decided to move to the Gold Coast to study English in 2017. After completing an 8 month English course, she wasn’t completely satisfied with the life in Australia, as she couldn’t seem to get any retail jobs on the Gold Coast. There were no chances to apply her skills and the study she had completed in her real life. After receiving an email from iDA Japan, who were looking for candidates to work in Australia, Yuri applied for the program. Once she passed an English test checked by iDA, Yuri had a Skype interview with the manager at the Helen Kaminski Sydney store. She researched in advance and practiced a lot. Due to her effort, she got the job! She received positive reviews from the manager in terms of her experience, her attitude and her English level. She was really excited to join the project to build her career in Australia. Once she started working at Helen Kaminski in Sydney, she was surprised that the Australian customer service was completely different from the Japanese way. She witnessed many Japanese tourists at the store, so she applied Japanese hospitality when she served Japanese customers and applied Australian way to other customers. Her attitude is always Japanese style such as punctual, hard-working and polite. After a few months, she has been highly evaluated by the store manager and all of other staff members, which lead them to extending her contract for 3 more months! “Firstly thank you so much for giving me such a great opportunity. The whole experience has allowed me to grow a lot. I couldn’t be happier that I work at Helen Kaminski in Sydney! I became confident around dealing with customers from all over the world. And now I know Australian culture and fashion. I would like to contribute to both the Japanese fashion industry and the Australian fashion industry in the future by making use of this experience. To begin with, I want to learn more about fashion management. I am especially interested in staff education and trainings for growing high skilled global talents! To find out more about IDA’s recruitment project and whether you can be involved as a retailer, reach out to Sayoko Hiruma (Manager at iDA Australia) at hiruma@wmh.co.jp. Last December saw a delegation of Melbourne fashion and design businesses showcase at Hong Kong’s Business of Design Week, coming together to form the Melbourne Fashion Showcase, thanks to Creative Victoria. The AFC were thrilled to be part of the trade mission, and see so many of our amazing members represented and recognised by an international audience. A big thank you to all who made it possible and a shout out to our friends in Hong Kong who made it such a memorable experience. Here are some of the highlights! Now firmly entrenched on the Australian apparel and fashion sourcing calendar, the 9th edition of the event, co-located with Footwear and Leather Show 3rd edition and China Clothing Textiles Accessories Expo 18th edition, attracted major brands and buyers from across Australia and New Zealand, and the broader region. The Australian Fashion Council congratulates the winners of the 2018 Australian Fashion Laureate Awards, which includes the Co-Chair of the AFC, Edwina McCann, and AFC Members Song for the Mute, Romance Was Born, Zimmermann and Albus Lumen! 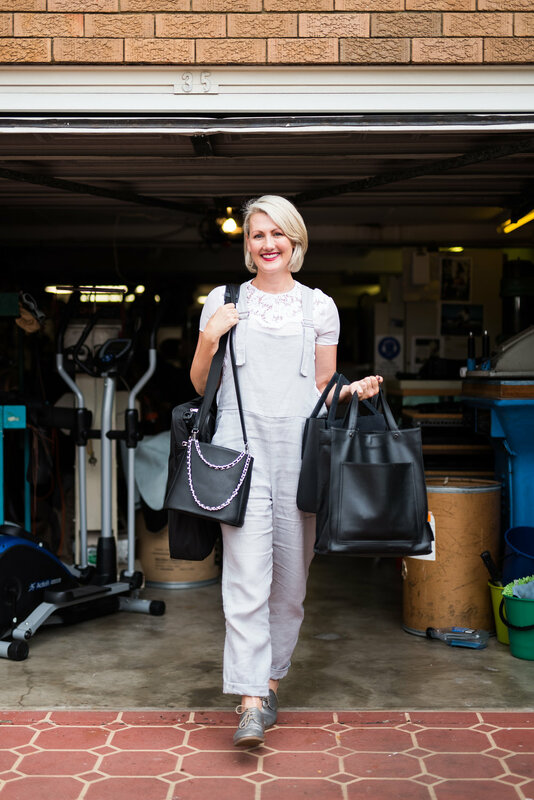 Last month The Australian Fashion Council and The Sample Room partnered to offer members another opportunity to connect and learn what our industry has to offer through our makers meeting series. Early in October, on the last day of Paris Fashion Week 2018, a diverse group from the Australian and French fashion industries collected at the Australian Embassy in Paris, generously hosted by Ambassador Brendan Berne. IT'S BACK! Returning to Melbourne this November 20-22 2018, the International Sourcing Expo brings the world to you. The Australian Fashion Council will be in amongst the action at Stand E39! The Australian Fashion Council and The Woolmark Company recently partnered together to take six Australian fashion labels on a memorable day trip to the historic wool growing property at Anlaby Station, as part of the AFC’s Makers Meeting series. The largest-ever international presentation of Victorian fashion is set to showcase in Hong Kong this December as part of Hong Kong Business of Design Week (HK BoDW), Asia’s premier design event! Running from the 1st-9th, the ‘Melbourne Fashion Showcase’ will see over 50 Victorian designers across three exhibitions and two showcases. Alvanon’s global survey highlights an unprecedented skills crisis in the fashion industry, with 62% of respondents struggling to fill skilled roles. The report data reveals a ‘war for talent’ across the supply chain, with big fashion retailers, brands, manufacturers and vendors, facing a shortage of workers with key, specialised skills… Do you agree? A launch event officially kicked off a month of Aussie retail in Los Angeles on Wednesday night! The Aussie Kiosk is an Australian brand collective showcasing the best mix of Australian brands to the LA market. If you’re in the business of manufacturing or operate within the manufacturing environment, join the conversation and collaborate with innovators, designers, technologists, academics and business experts. Adapt and plan for innovation to thrive in the fourth industrial revolution.